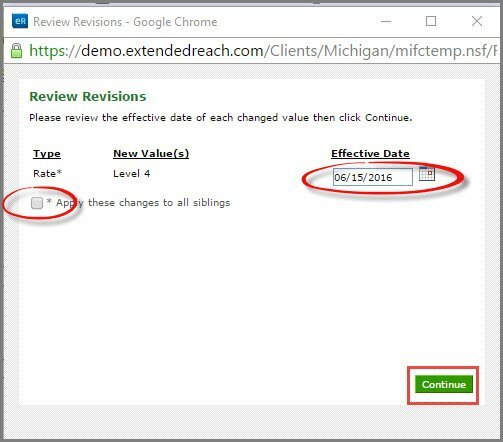 This article is meant to assist you with the extendedReach Revision Tracking. Related Topics or you can Contact Support. 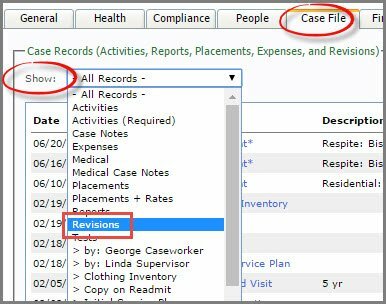 Revision Tracking within extendedReach is used to keep track of changes made to certain fields within Cases. 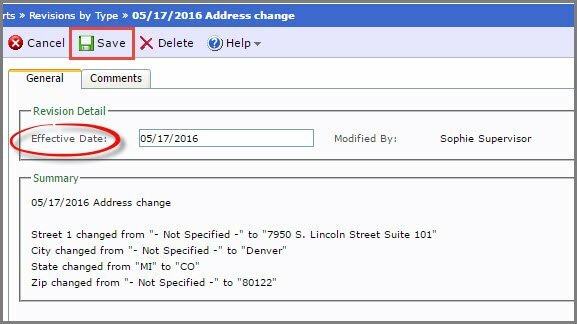 Previous values and the effective date of the change are recorded so you can see changes over time. 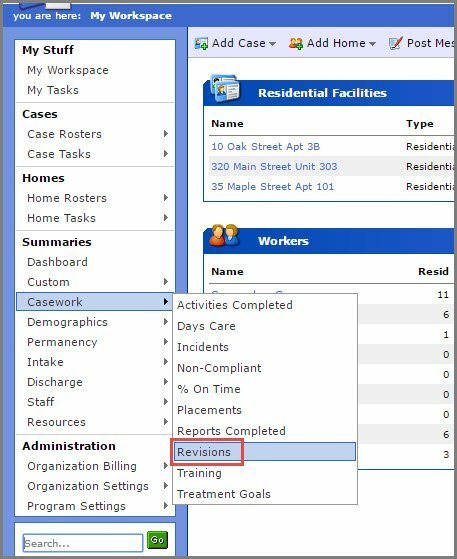 Revision Tracking is used to track changes in rates which are used for Days Care Billing calculations..
From a Case, if you edit the following items (among others), eR will track the revision. Some of these changes may prompt an effective date (when it is important) while others will just stamp the change as effective the day of your change without prompting. 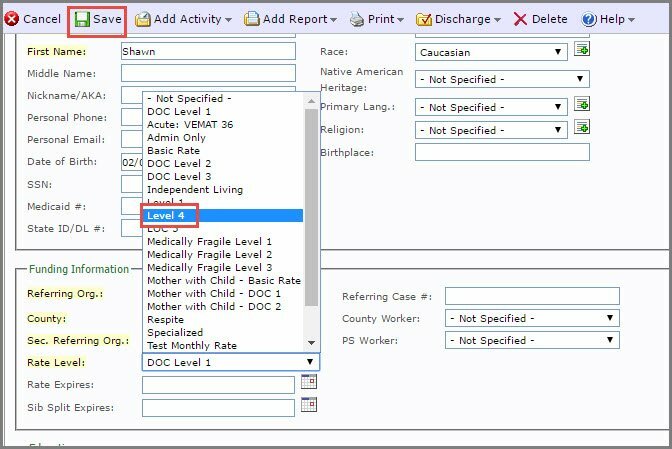 From “Edit Mode” on the Case Screen, change the rate level of an existing case to a different value and click on “Save”. This dialogue box will automatically open. Select an “Effective Date”. Click on the calendar icon to select if you wish. Check the box “Apply these changes to all siblings”, if needed. The revision has now been recorded. From a Case, open the “Case File”. To view revisions, select “Revisions” from the drop-down menu next to “Show”. Click on the blue hyper-linked revision to view. Click on Delete to remove, or Edit to make changes to the revision. 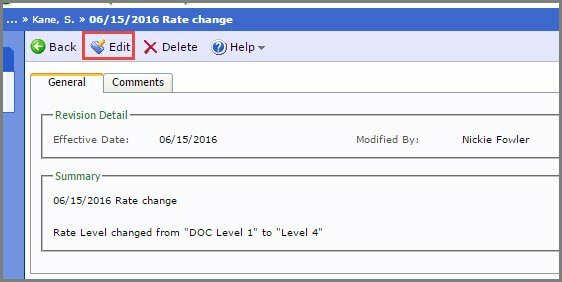 Change Effective Date in the General tab, or add comments in the comments tab. Be sure to SAVE any changes you make. From your Workspace on the left side of your screen under “Summaries”, hover over “Casework” and click on “Revisions”. This view shows all revisions categorized by revision type.